Modern kitchens are filled with appliances sporting steel exteriors. The trend arose from the use of stainless steel in industrial and professional kitchens and caught on as a stylish design option which was easy to maintain. Manufacturers are now offering appliances in varying steels including stainless steel (SS) and monochromatic stainless steel (MS). Steel is a big part of the modern kitchen. 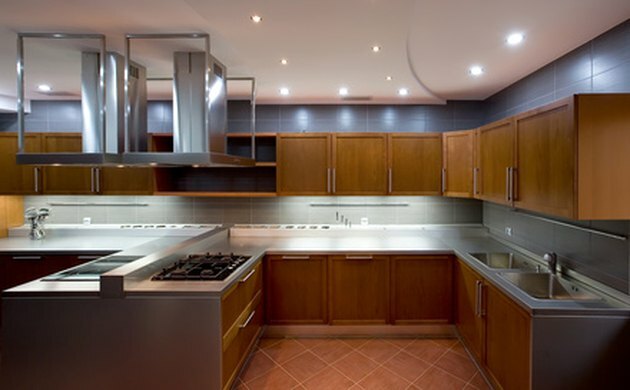 Stainless steel was the original and preferred material for appliances, hardware, cookware, counter tops and sinks in professional kitchens around the world. It is impervious to stains and rust, easy to maintain and clean, scratch-resistant and attractive. Appliances which are available in monochromatic stainless steel are constructed of the same metal as SS appliances, with the exception of the trim, handles and other pieces. These parts are colored a gray or silver tone to blend with the stainless metal, thus creating a monochrome overall theme. Both SS and MS appliances are susceptible to dents and dings. They both also show fingerprints very clearly, even after the slightest touch. 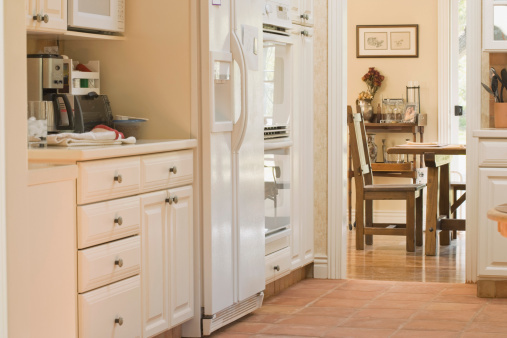 What Is the Difference Between Gallery & Professional Frigidaire Ovens?